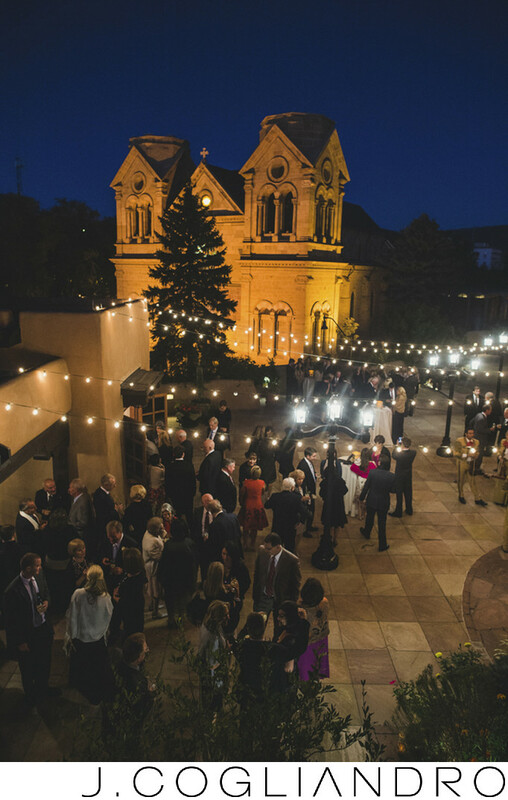 This courtyard in Santa Fe, New Mexico was the perfect reception space. Location: Santa Fe, New Mexico. Keywords: Ceremony: Encantado (183), Destination Wedding (369), Lindsey and Dennis (183), Photographer: Joe Cogliandro with J. Cogliandro Photography (2883), Reception: La Fonda (183), Rehearsal Dinner: Rio Chama (183), Santa Fe New Mexico (183).